While the rest of the Volkswagen Golf family won't be updated until the 2018 model year, the plug-in e-Golf is brand new for 2017, featuring all of the styling tweaks that denote the Mk7.5 generation. With VW's diesel crisis still firmly in consumers' minds, the company has its sights on the electric car market, and the e-Golf is VDub's first venture into the world of EVs. 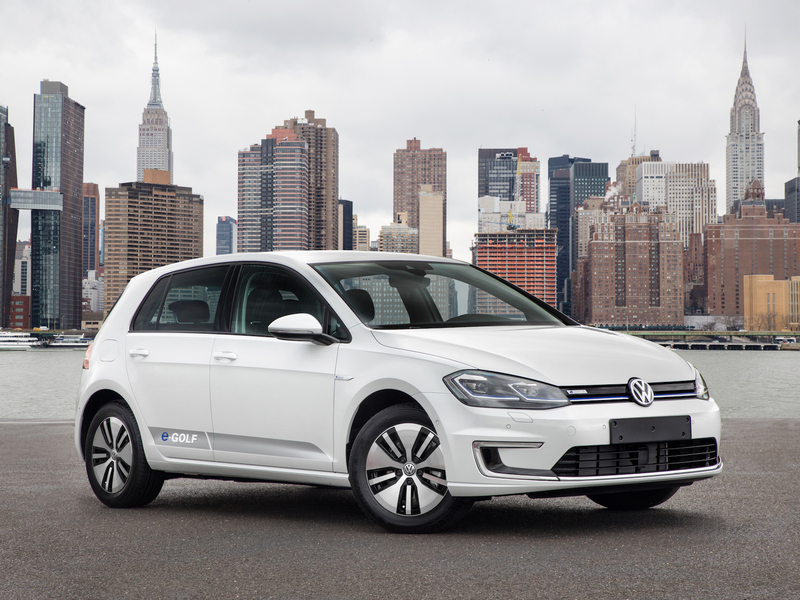 Debuting for the 2015 model year, the electric Golf took affordable electricity to new heights and distances, with an estimated range of 83 miles from its 85-kW, 115-horsepower engine. 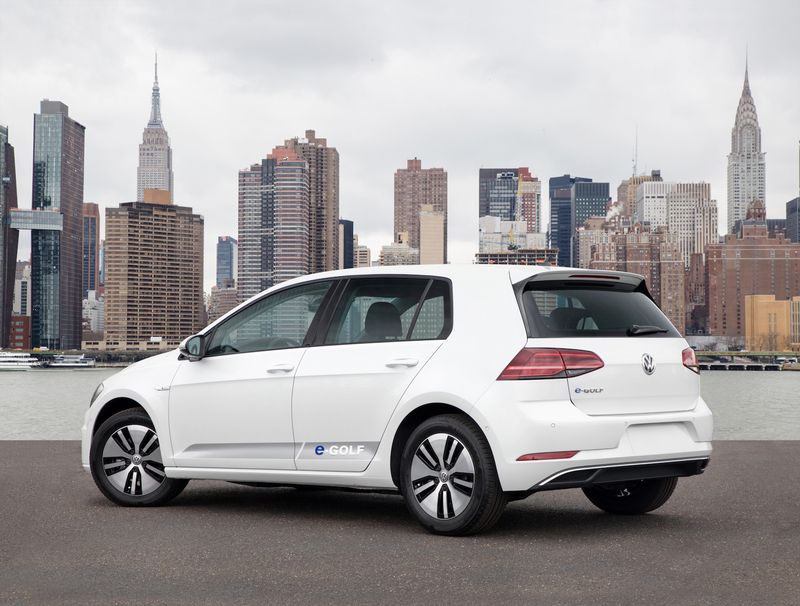 The new e-Golf blows that old one out of the water. Starting at $30,495, the 2017 e-Golf might cost roughly $1,500 more than the previous year's model, but it's well worth the price increase considering the added features that the new model gets, according to Volkswagen. The upgraded battery in the new car boosts the range up to 125 miles. Charging from a regular 240V station takes just 6 hours, or one hour with the optional DC Fast-Charging kit. The engine has also been tweaked, now boasting 134 hp and 214 pound-feet of torque. This means the car will accelerate to 60 miles per hour in just under 10 seconds and reach a top speed of 85 mph. 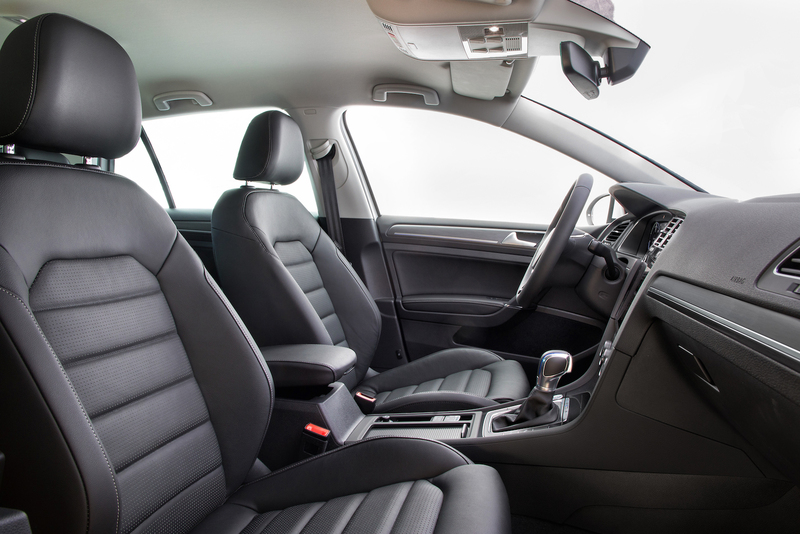 The base model e-Golf SE is a steal, featuring new standard accessories like a leather-wrapped steering wheel, LEDs on the exterior and an 8-inch infotainment system. Improving upon the SE, the $33,795 Limited Edition adds DC Fast-Charging as standard, plus Park Distance Control for tight parking spaces, automatic emergency braking and leatherette seats. The $36,995 SEL Premium model is top of the line with leather seats and VW Digital Cockpit, an upgraded instrument cluster. There's also an optional Driver Assistance package featuring Lane Keep Assist, Adaptive Cruise Control and Park Assist. All versions offer a $7,500 tax incentive and Volkswagen estimates that fuel costs will be around $550, so you'll save money no matter what. The Aicon and Elaine concepts give us glimpses into both the near and possible distant future of Audi.